Urban bird spotting and traditional bird art inspire this delightful series from Seattle artist Cody Blomberg who handcrafts bird print plaques are made from his original artwork. With a BFA in theatre design from the University of South Dakota, Cody brings a theatrical eye to his art plaques cottage industry and commissioned art works. Cody's favorite creative outlets are portraits, murals, and wildlife art. His bird print plaques come from his original artwork. The laser printed artwork is adhered to birch plywood, then finished with a clear coat and rich patina. 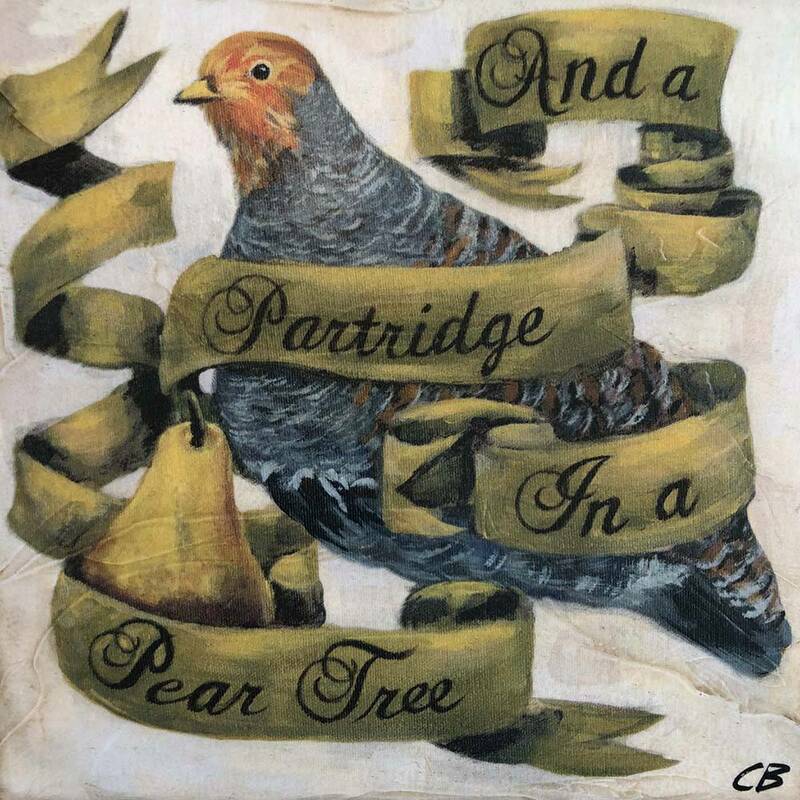 Cody's partridge in a pear tree is a sweet holiday gift from the "12 Days of Christmas" song. 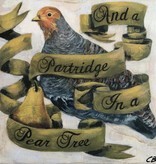 The partridge is portly game bird with a rusty face, tail, streaks down the sides, and a dark belly patch. It walks through agricultural fields and grasslands feasting on seeds. Small groups called coveys forage together year-round and explode into a scratchy, squawking flight when disturbed even at a considerable distance. Often called “Hungarian partridge” or just “Huns” by hunters, these birds were introduced to North America from Europe in the early 1900s.